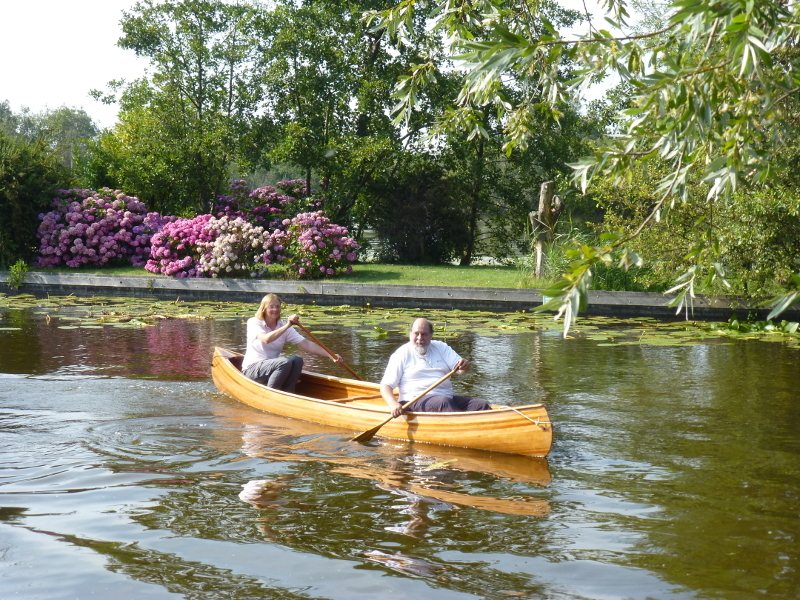 In 2014 and 2015 Nanette Jockin and Jan Sepp built “Houtje”, a Wabnaki canoe in their summer cottage in Loosdrecht, the Netherlands. You can follow the building process at http://nanettej.home.xs4all.nl/2014_Houtje/album/index.html (text in Dutch, but abundantly illustrated). 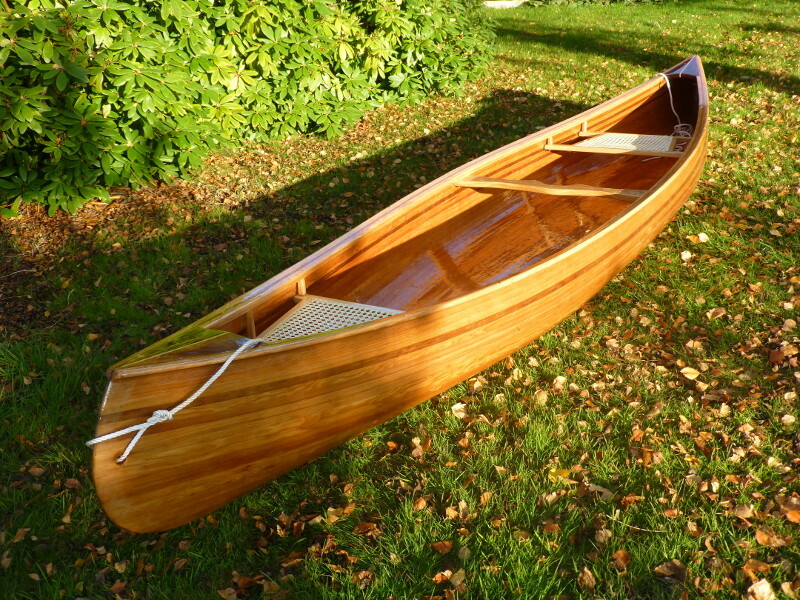 Houtje is made from imported red cedar strips. 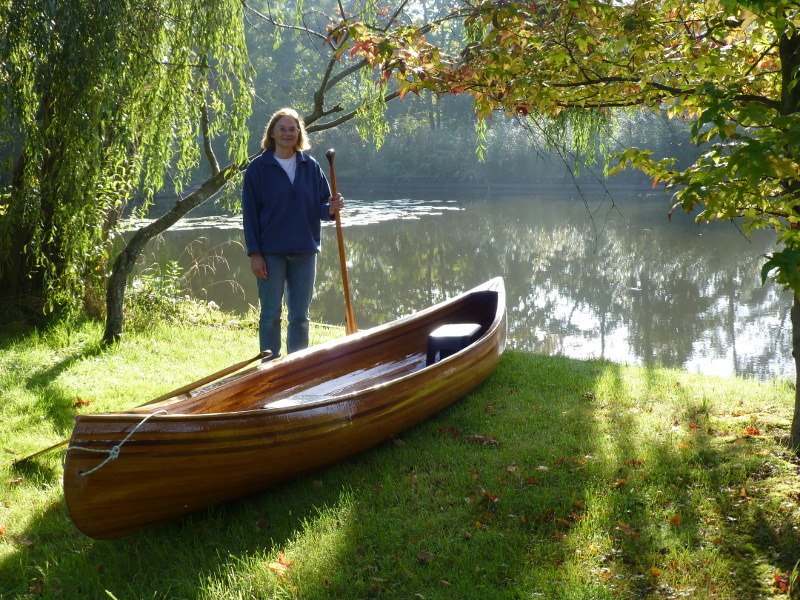 The finishings are made from local ash wood and walnut. 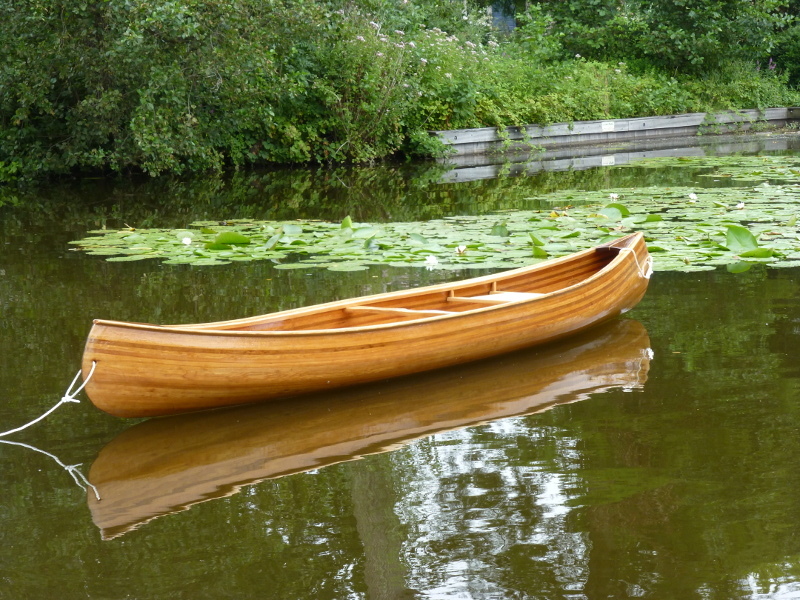 The boat is epoxied inside and out and then finished with three layers of poly-urethane varnish. Built to last!